Welcome to the Korean vegan alcohol project. Beer and wine are not traditionally animal-friendly, so more strict veggie-heads have not been able to join in on the average sipping session. This page aims to make it easier to find drinks everyone can share. The issue with beer and wine alike tends to be that bits and pieces of specific animals, fish, or eggs are used to help in the filtration process. 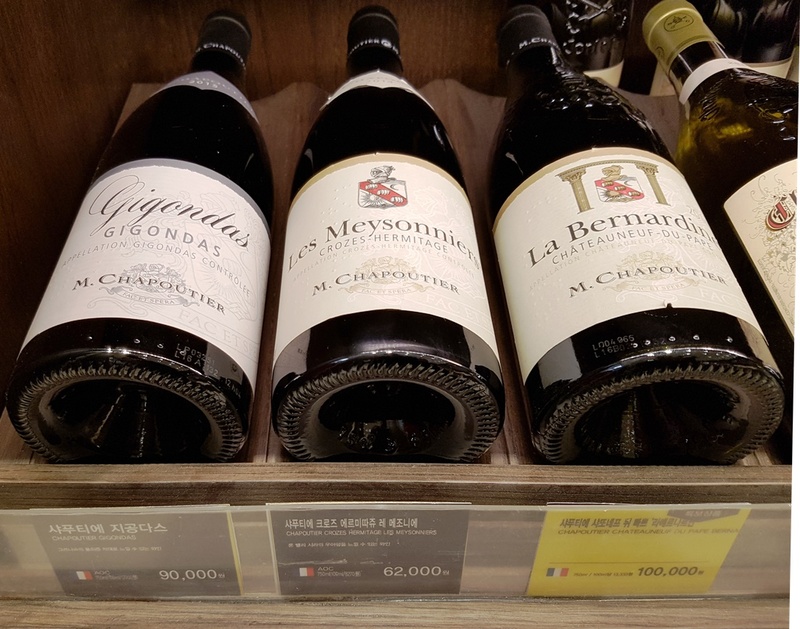 Wine House, a standard modern wine store, found in most department stores, and larger supermarkets. 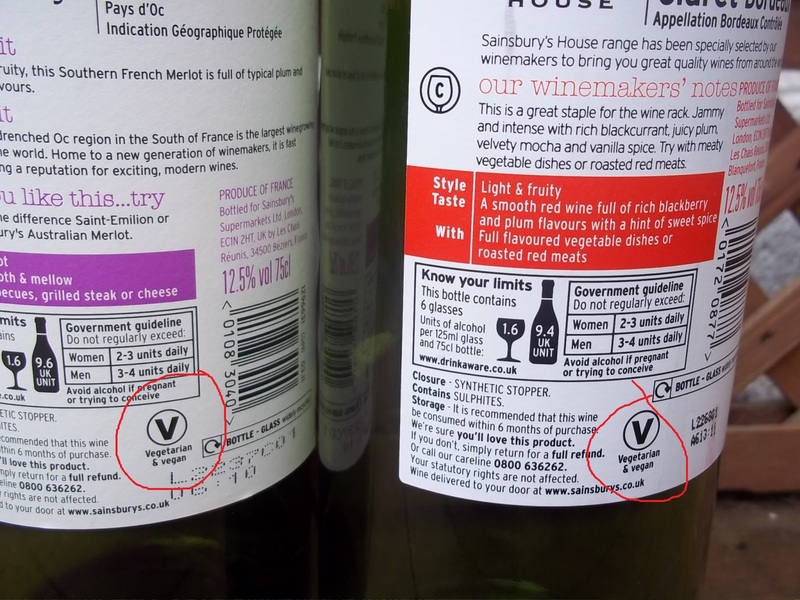 The easiest way to find wine that is veggie-edible, then, is to find one that has not been filtered. Though this is fairly rare, it more likely also tends to be organic. 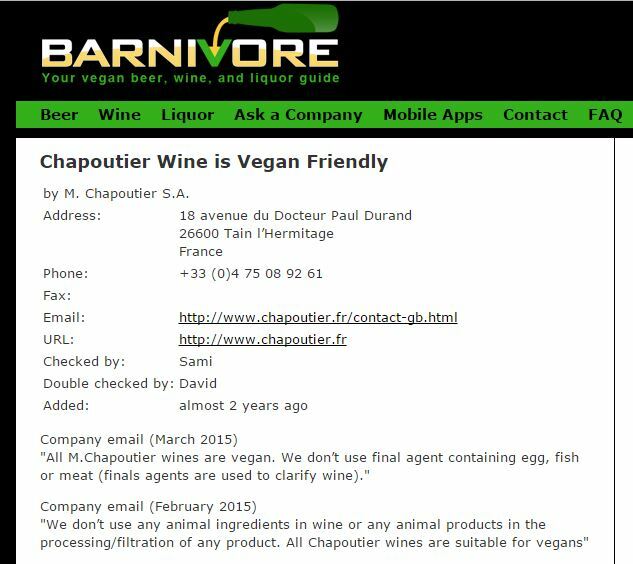 The most reliable way to identify an animal-free drink remains, however, to take a ‘net device, and look up the latest reports from a handy and much-updated app/ site, perhaps the most well-maintained of which is Barnivore.com. Having asked whether they had any vegan wines, I was offered only organic. Organic often also means non-filtered, and it is the filtration that most often uses animal products within the entire process of making wine. … And then I looked at the prices. And so then I turned, phone in hand, to check out some of the other, cheaper bottles on the stands, at random. None turned out to be veg friendly. What about you? Have you spotted any veggie-ready wines – or beers – in your local store? Please share your info. and let us know in a comment below; maybe we can find the same bottle nearby here, too. Meantime, the search continues. We’ll be sure to add in anything new. Drop by again soon! This entry was posted in Uncategorized and tagged alcohol, Barnivore, beer, Korea, liquor, meat-free, organic, plant-based, plant-powered, South Korea, veg-head, vegan, vegetarian, veggie, veggie-head, veggie-powered, veggie-strong, wine. Bookmark the permalink.